The five distinct colors of GaffTac™ Spike Tape make it easy for actors, technicians, stage managers and directors to quickly distinguish set locations and marks on stage. 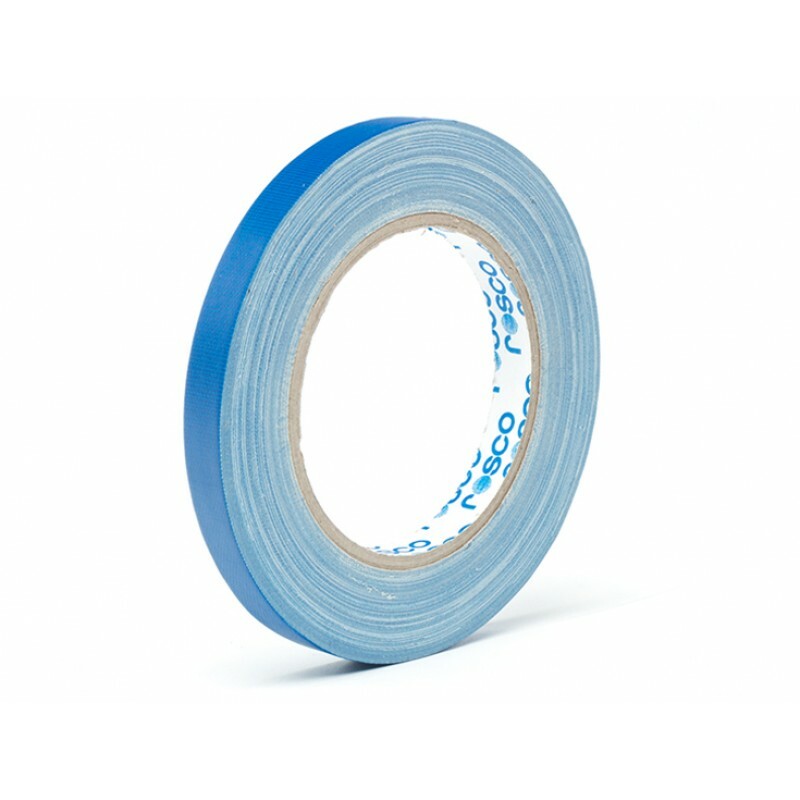 GaffTac™ Spike Tape offers the perfect trio of benefits expected - comfortable unwind strength for fast lay down in the rehearsal hall or theatre; excellent adhesion to resist peeling under the heavy traffic of actors and set pieces; and of course, clean removal during strike. Available in White, Red, Yellow, Blue, and Fluorescent Green, Rosco GaffTac™ Spike Tape is manufactured using a premium quality polyethylene coated cloth laminate with a natural rubber based adhesive. This unique adhesive offers high tack with excellent adhesion yet still removes cleanly without leaving behind any sticky residue. It's also easily tearable, which means no need for cutting tools. The fine mesh weave of the cloth laminate base is resistant to edge fraying and offers a smooth, matte surface with minimal sheen. In addition, the supple fabric base conforms well to irregular surfaces to insure a good bond on a variety of surfaces.